The global shipping industry is continuing to release more and more greenhouse gas emissions by the year, according to a new study released by the International Council on Clean Transportation (ICCT). So, what are the exact findings? 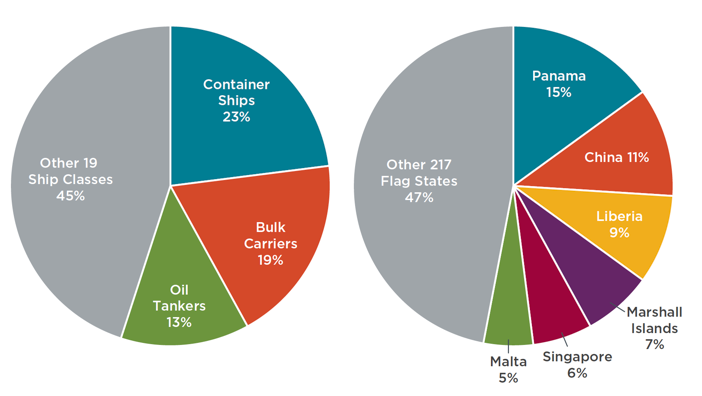 Maritime fuel consumption increased from 291 million tonnes in 2013 to 298 million tonnes in 2015 (an increase of 2.4%). This compares to a 7% increase in shipping transport work during that period of time. As it stands, shipping emissions are expected to double or so by 2050 on the back of expanding international trade — unless there are major policy changes and accompanying impacts before then.